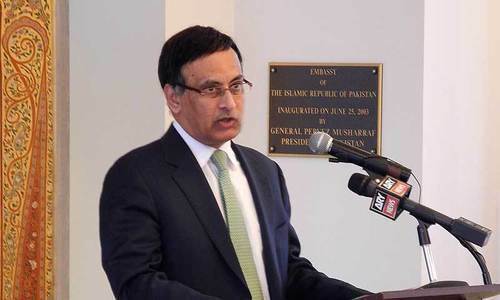 The Supreme Court on Thursday ordered the National Accountability Bureau (NAB) to initiate efforts for the extradition of former Pakistani ambassador to the United States, Hussain Haqqani, the central character of the 2011 Memogate scandal. Chief Justice of Pakistan Mian Saqib Nisar, who was heading a three-judge bench, observed during the hearing that as per senior counsel Ahmer Bilal Soofi, who was appointed amicus curiae (friend of the court), only NAB has the authority to make efforts for Haqqani's extradition to Pakistan after its chairman issues warrants against the former envoy. "There are hurdles in [bringing wanted persons back to the country] due to a lack of extradition treaties between Pakistan and other countries," the top judge remarked. He added, however, that there was a need to explore NAB's agreements with the United Nations Security Council under which the extradition of accused suspects is possible. While giving NAB the task to bring back the former ambassador, the apex court also ordered the parliament to legislate on the matter of bringing wanted Pakistanis back home. The court directed the parliament to legislate on extradition agreements with foreign countries within a month. The bench also ordered NAB to submit a written reply in one week about steps it will take to bring Haqqani to Pakistan. The hearing was adjourned for a week. Meanwhile, in a progress report submitted to the Supreme Court, the Federal Investigation Agency (FIA) stated that an interim challan of the Memogate case was submitted in the Court of Special Judge Central, Islamabad on August 7, 2018. The accused is still at large and absconding in the US, the report stated, adding that the process to blacklist Haqqani's Pakistani passport is underway. According to the report, the National Central Bureau (NCB) of Interpol in Washington "has tentatively confirmed that the accused has been located in the United States". It said the interior ministry will forward a request for his extradition to the foreign ministry after seeking the federal cabinet's approval. The foreign ministry will then forward the request to the US government after which FIA will coordinate the matter through the US Embassy in Islamabad, as well as NCB- Interpol. The agency disclosed that several requests to issue 'red notice' against Haqqani are pending decision at the Interpol Secretariat in France. On a suo motu, the SC had taken up a case pertaining to steps being taken by the government to ensure implementation of an earlier SC order of bringing Haqqani back home. On June 4, 2013, a nine-judge SC bench, headed by then chief justice Iftikhar Muhammad Chaudhry, had directed the then interior secretary to adopt legal measures ensuring the return of Haqqani to Pakistan. The court had also hinted at adopting coercive measures in view of the continued refusal of Haqqani to appear before it and honour the commitment he made to come whenever called. Haqqani was at the centre of a controversy for sending a memorandum allegedly to former US military chief Admiral Mike Mullen, seeking direct US intervention to avert a possible overthrow of the civilian government by the military against the backdrop of the May 2, 2011 US raid on the Abbottabad compound that killed Al Qaeda chief Osama bin Laden. Later, the SC constituted a judicial commission which had on June 12, 2012 held Haqqani as the originator and architect of the memo. Please take care of cases for the people languishing in our jails and cases are pending for years. Wish CJP ask for the report to check how many people are in jail pending trials for long time. NAB is hoped to proceed and succeed again in the same way as it did in Pervez Musharaf case. Should as well order NAB to have a magic wand. the reason for such delay in executing extradition treaties are non seriousness on behalf of legislators to protect them self in seeking political asylum. 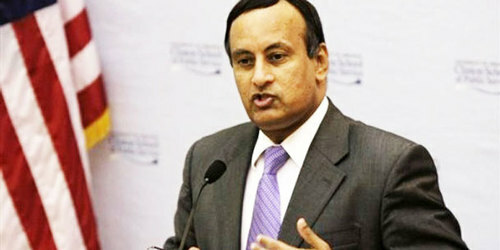 I have seen Hussain Haqqani's debates with Americans and Indians which were completely one sided anti-Pakistan. Needless to say the Indians in the hall were really happy. And this is the man PPP & Zardari placed in Washington DC as an embassador. What does this tell us about Zardari? 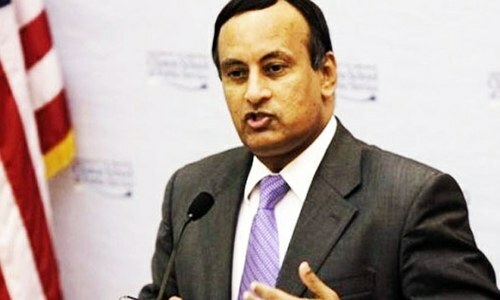 Will USA handover Hussain Haqqani to Pakistan, a USA blue eyed boy, the answer is NO. All these anti-Pakistani elements such as Hussain Haqqani, Altaf Hussain, Musharaf and many more have to be brought back to Pakistan through STING OPERATION. Swap him for Dr Afridi. The question is: will he be brought back through Interpol? I don't think so, as USA will use him as a political tool against Imran Khan and malign him. It's all part of dirty politics! Why Musharraff cannot be extradited? Fat chance of that ever happening. He is a resident of the US. Our lawmakers should understand that other countries do not extradite their own residents and not even foreigners to countries that apply the death penalty unless the requesting country expressly gives that assurance. Everyone knows how extradition is handled here! How can the CJ "order" parliament to legislate within month? Lots of endless time has been wasted on this case with no solutions . Why not sort out cases that are pending in courts...yet again no justice for people languishing in jails pending trials ! Did someone say NAB's agreements with the United Nations Security Council under which the extradition of accused suspects is possible? Looks like someone does not understand rules and procedures. Mansoor Ijaz was right after all. It may be hard to bring Hussain Haqqani back because by now he must be a US citizen. Is there anyone in senses in PK? How can a judge order parliament to make laws, and even that within a timeframe? Can the court go beyond their primary function of explaining the laws legislated by the parliament? Husain Haqqani has more credibility in the US than the entire Pakistani diplomatic corps. US congressmen still call him Ambassador Haqqani. US foreign policy towards Pakistan is being made in large part from Husain Haqqani's advice. Pakistan would do well to mend its fences with him. This government is creating a disastrous image of Pakistan around the world. We as a nation should concentrate within, improve on what we have, our internal law and order, our judicial system, and the mountains of unresolved cases. Good news. Get this traitor to come back to Pakistan and try him in Military court. His citizenship should be stripped. When he was the ambassador in DC he did not report $5 million after Zardari left. He should be asked about that money. Supreme Court can ORDER the Parliament to pass any law? In what universe? Parliament on the other hand can hold ALL Supreme Court Justices who passed this order in Contempt. Disgraceful. Political extraditions wont fly. Haquani cna not be extradited. US will not allow it. Waste of resources. What NAB had entered with UN is not enforceable in the USA a democracy. He has taken political asylum against the fear of his life in Pakistan and he will not be coming back or handed over to you because it is against the law. Hussein Haqqani can never be extradited from USA. Mr Haqqani is a US citizen now. You can never have him back! He is an American citizen, we all know what will happen next. Turkey is still waiting for extradition of Fathullah Gulan from USA. Good luck with Haqqani. This is going to be a test case for our resolve in dealing with accused criminals who take refuge in Western countries to escape the reach of law enforcement. He needs to be brought back to face justice. Wasn't Zardari also part of the memogate? May I say that Navjeet Singh Sidhu is more or less equal as Hussein Haqani but Hussein Haqani is not a turncoat like Sidhu -- an opportunist and a comedian of first class and no one cares him in India !! What about Musharraf the traitor? Bring in Ishaq Dar to justice. The previous governments had no interest in making extradition treaties with other countries because hiding in foreign countries was part of their own escape plan after looting Pakistan. @FIDA SAYANI Sting operation is US or any other western country is impossible. US wont give him up, he is a CIA man appointed by Zardari as Pakistans Ambassador to US, holding dual nationality and giving unrecorded 4000 visas to CIA operatives to enter Pakistan. I don't know why authorities allow criminals to leave country and when they left, we waste our time to come back to home, why Model Ayan Ali allow to leave country?